The African Heritage Initiative is a unique and innovative project with the aim of inspiring and empowering members of the African community in Birmingham to learn more about their role in local history, whilst also informing both Africans and the rest of society in regard to the integration of African migrants in Birmingham. Focusing on Africans who have arrived in Birmingham since 1950,The African Heritage Initiative has conducted extensive research to uncover and narrate the previously untold stories of African migrants: why they – or their parents – came to this country; their experiences when they arrived; their subsequent settlement experiences; and their achievements and contributions to their adopted society as well as their aspirations for the future. The stories recorded in this volume are important, not just because of their ability to inspire and empower, but also because of the risk that the heritage and history they reveal may be lost. There has been no previous attempt to collate the heritage of recent African migrants in Birmingham on the scale attempted in this work. The archive that is collected here expresses the values, attitudes, and thoughts which together form the history of our past experience and it is crucial that these are recorded and preserved if we, and future generations, are to properly understand this heritage. The storytelling in this anthology, therefore, is a creative component of our experience, and in order to share these experiences with the world, and move forward, we as Africans need first to recognize the importance of our own stories. The project’s aim was to encourage New African Leaders, young and old, who are living and working in Birmingham, to share their stories in interviews, from which an historical record of modern African migration, and the integration of African migrants in Birmingham, could be developed. The project aims to build upon existing research and attempts to develop a picture of modern African migrants and their integration in Birmingham in order to enable common and divergent experiences among the African Diaspora to be identified and understood. It is anticipated, therefore, that this anthology will help to fill in gaps in knowledge and understanding regarding modern African migration and integration in Birmingham, and that it will also help to identify areas for further research. 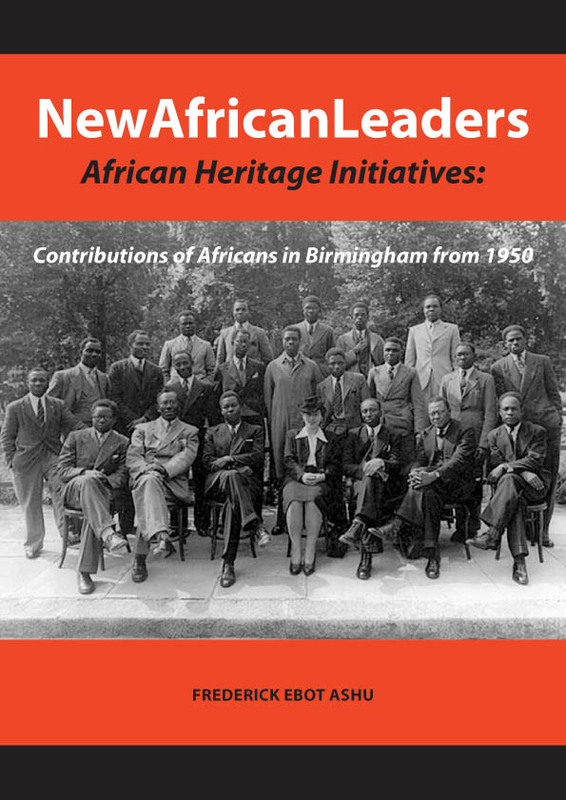 Agreater awareness and understanding of the life-stories and perspectives of Africans living in Birmingham will not only enrich the existing published literature in this field but will also provide the opportunity for readers to reflect on the potential to further enhance the ongoing professional growth and development of Africans in Birmingham.